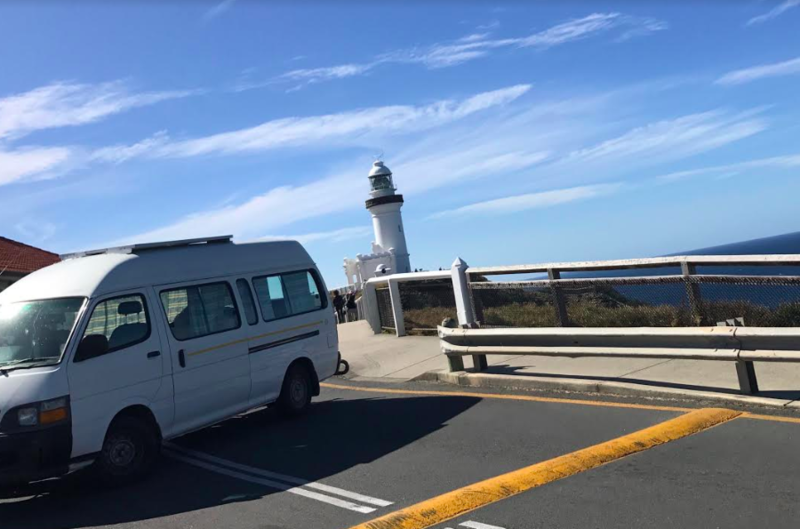 One of the awesome owners on Camptoo who rents out her campervan put together an awesome itinerary of a campervan trip from the Gold Coast to Byron Bay. 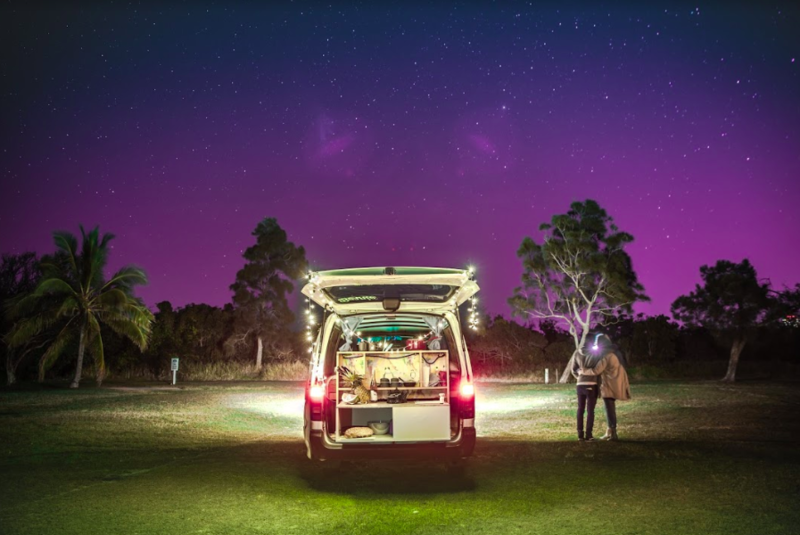 Melita has been renting out her campers for a while so knows a thing or two about awesome campervan trips from the Gold Coast. 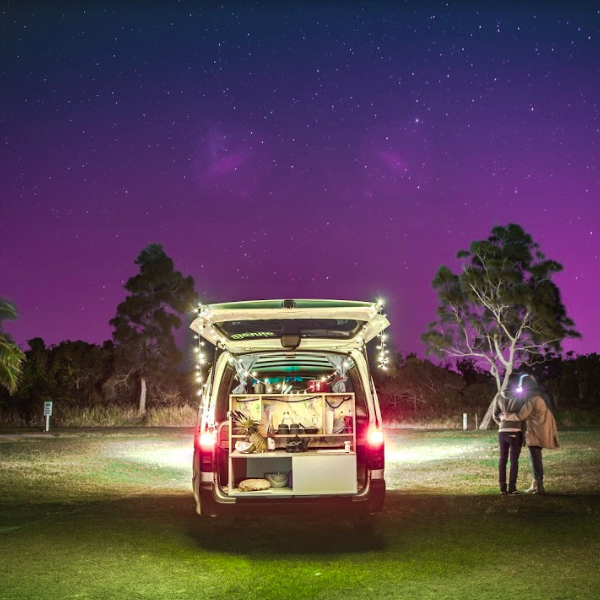 Here is her suggestion for an awesome weekend getaway after hiring a campervan on the Gold Coast. Growing up in Tasmania my sister and I spent our school holidays caravanning around the Tasmanian wilderness and beaches with our family. Now, as adults, our love for the great outdoors remains a significant part of our lives. 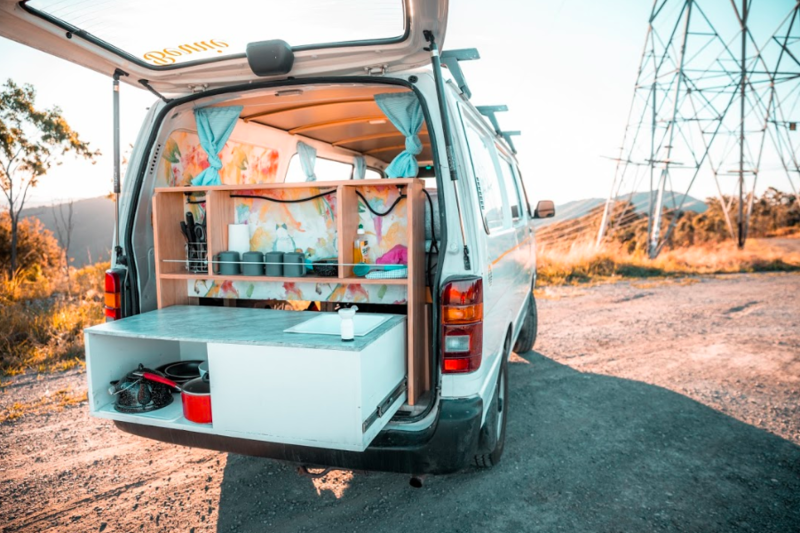 In 2015 we built our first campervan on the Gold Coast, we now have a fleet of 4 beautiful campervans each with unique style and flare. Our aim has always been to encourage locals and travellers to explore this beautiful part of the world we love so much without worrying about bringing anything except a bag of clothes and a desire for adventure. We are now lucky enough to be based on the beautiful Gold Coast, which means our campervan journeys take us to some amazing spots such as Noosa, Mount Tambourine and the picturesque Granite Belt. These destinations are breathtaking! We want to share with you our favourite route when we have a few spare days to explore, Northern NSW. 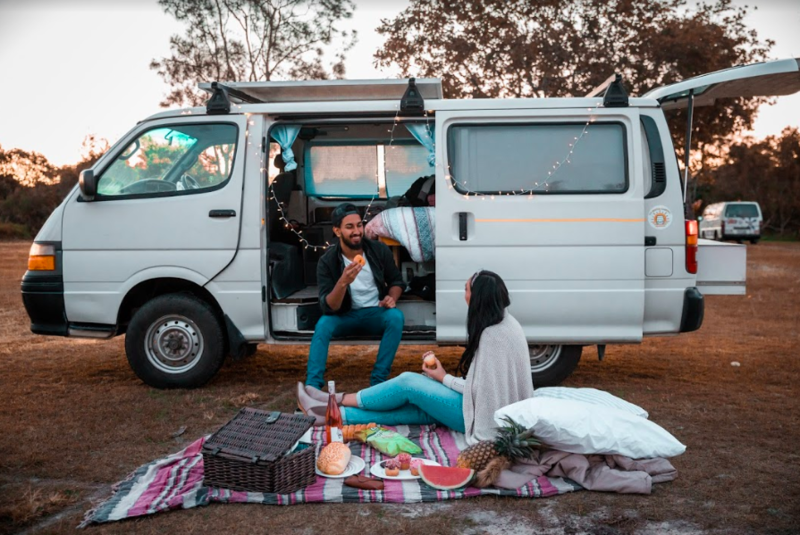 So, skip the tourist traps and follow our itinerary to explore like a local after hiring a campervan on the Gold Coast. Departing from the Gold Coast, head south taking the scenic coastal roads through the towns of Kingscliff, Pottsville and Wooyung. Make a stop at the charming beachside town of Brunswick Heads, affectionally known to the locals as ‘Bruns.’ Here you can visit the quaint coffee shops or head to the calm waters of the Bruns River and hire yourself a stand-up paddle board for the morning. If you happen to be here on a Sunday, a visit to the famous Brunswick Heads Pub is a must. Locals sprawl into this vibrant watering hole for a delicious pub meal and to hear both local and interstate musicians. These Sunday sessions are among the best in the shire! After your morning exploration of Bruns, it’s a short 10 minute drive to ‘The Biggest Little Town’, Mullumbimby. Take a wander through the heritage listed buildings and creative shops. Be sure to stop by Crystal Castle which has the world’s largest crystals. A tour of Crystal Castle will take you to the biggest Amethyst cave in the world and give you the opportunity to discover the beautiful Shambhala Gardens. Head to www.crystalcastle.com.au for more information. Now onto the main affair of the shire, Byron Bay! A further 25 minute drive South you will enter Byron Bay. Just after the turnoff from the Pacific Highway you will come across a new local favourite, The Farm. The Farm was first established in 2013 by owners, Tom and Emma. They had a vision to create a sustainable and environmentally conscious working farm for the community to enjoy. Over the years The Farm morphed into more than anyone could have imagined! It boasts an onsite restaurant (mostly produced from the land it sits on), farm animals, educational talks on sustainable farming and horseback riding tours. From here spend your afternoon exploring the streets of Byron Bay, discover the many boutique shops, and listen to local musicians who grace the street corners and beachside with their talent. If you’re feeling energetic take a walk up to the iconic Byron Bay Lighthouse and gaze out at the most easterly part of Australia. During whale season (July to October) keep an eye out for the friendly Humpback Whales making their migration. Dolphins can also be seen frolicking in the shallow waters of Watego’s Beach. No trip to Byron Bay would be complete without a visit to The Beach Hotel, known also as ‘The Beachie’ to locals. The Beachie has unhindered views of the ocean and some may argue the views, along with the live music are among the best in Australia. With 3 caravan parks all close to the town centre, you will not fall short for camping options here. Time to explore a little further! Take Bangalow Rd heading west, this will take you to… you guessed it, Bangalow! If you are lucky enough to arrive on the 4th Sunday of the month, you will discover the massive Bangalow Markets. This market sees local vendors and artisans from the shire coming together for a truly unique market day. Inland from the shire there’s an abundance of waterfalls to visit. The top on our list are Killen Falls, Protestor Falls and Minyon Falls. Each one offers an individual experience with track levels varying in difficulty to cover all ages and fitness levels. During summer months locals love heading to Killen Falls for a cool swim. A northern NSW road trip would not be complete without visiting the well-known town of Nimbin. Known as ‘rainbow region’, Nimbin is nestled 70km west of Byron Bay and proudly offers locals and visitors an alternative lifestyle, aimed around sustainable living, environmental consciousness and creative exploration. We recommend parking your campervan in the Nimbin Caravan Park for a short walk into town. For an eye opening experience, be sure to drop into The Hemp Museum. Nimbin also holds an annual Mardigrass Festival, which sees thousands of writers, artists, musicians, actors, environmentalist as well as practitioners of alternative lifestyles, hippies and party people coming together for a weekend of cannabis orientated fun and frivolity! If you are in the area at the right time- do not miss it! Leaving Nimbin, head towards the Gold Coast. Take the back roads around Nightcap National Park for some stunning scenery. To squeeze every last drop from your trip, make a stop at the beautiful, but physically daunting Mt Warning. Mt Warning is over 23 million years old and is one of the few volcanic plugs you can see in the Tweed Ranges. Whilst there is a short track at the base, most visitors (approx. 60,000 per year) make the gruelling 5 hour, 8.8km return trip to the summit. The summit track is a sacred place to the Bundjalung people and was declared an Aboriginal place in 2015. On a good day the 360 degree views from the top will show you stunning landscapes all the way to the coastline. If planning to do the hike, come prepared! This hike requires a reasonable amount of fitness and mobility. Bring lots of water and don’t forget a camera for the top! Leaving Mt Warning, head back to the coast through Murwillimbah to enjoy the last of the scenery before reaching the highway back to the Gold Coast.